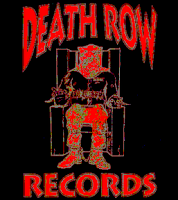 The New York Post reports that Music Group is offering $25 million to acquire the catalogue of bankrupt rap label Death Row Records. The music major has been named the lead, or "stalking-horse", bidder in Death Row's Los Angeles-based bankruptcy proceedings, according to a 1 February filing in US Bankruptcy Court for the Central District of California. Sale of the catalogue, estimated to include 10,000 tracks, has long been held up because prospective buyers are unclear as to which assets the now defunct label still controls. Outstanding claims by rapper Dr Dre over royalty payments relating to his album "The Chronic" are among those which remain outstanding. The bid is contingent on those assets being included in the sale.